Crazy Awesome the one and only all female AC/DC tribute act. Presenting music from both era's of AC/DC Bon and Brian! Hail Hail to the Good Times!HELL'S BELLES are first and foremost dedicated AC/DC fanatics. This is what we all have in common. We're all part of a huge community of devotees to one of the greatest rock-n-roll bands in the world. This is who we all are, and this is what HELL'S BELLES strives to deliver with mechanical precision and passionate fury. 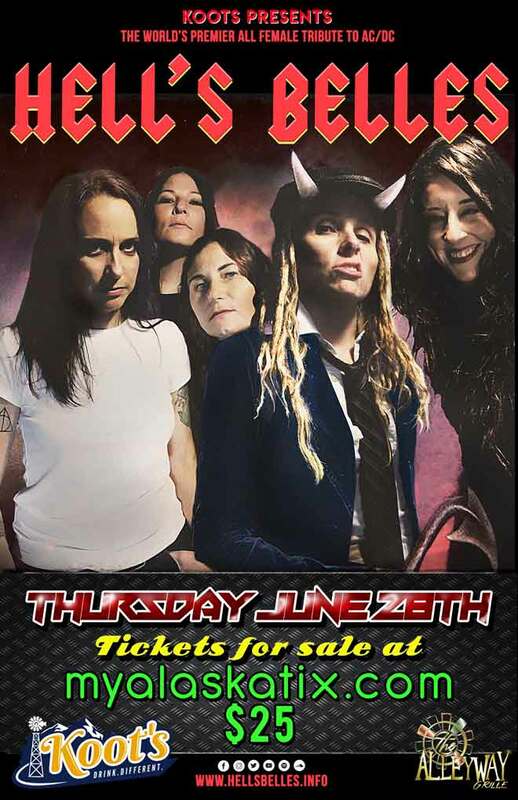 Endorsed by Angus Young himself (Blender Magazine, 2003), "HELL'S BELLES are the closest one can get without actually moving to Australia and joining AC/DC's road crew."